By Hadi Waqas in Photography. Updated on February 14, 2019 . Ask anyone about Saturn and the answer you’ll get back would most likely be its iconic rings. 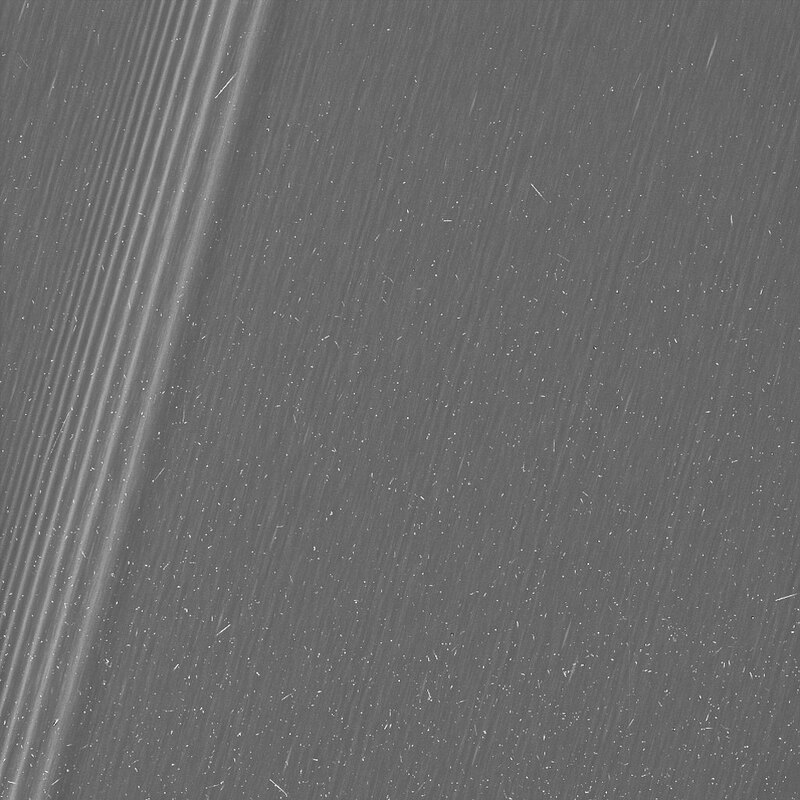 Now, we can finally have a closer look at the planet’s rings as NASA’s Cassini spacecraft enters its ring-grazing phase, beaming back numerous close up shots of said rings from the space. Pictures of Saturn’s rings are taken as Cassini circles over and under Saturn’s poles in an elliptical orbit inclined about 60 degrees from the ring plane. During the orbit, Cassini will cross the ring plane within range of Saturn’s F ring, a band that’s considered the outer extent of the main ring system. The spacecraft is expected to conduct this orbit 20 times before entering the final phase of its 20-year mission. 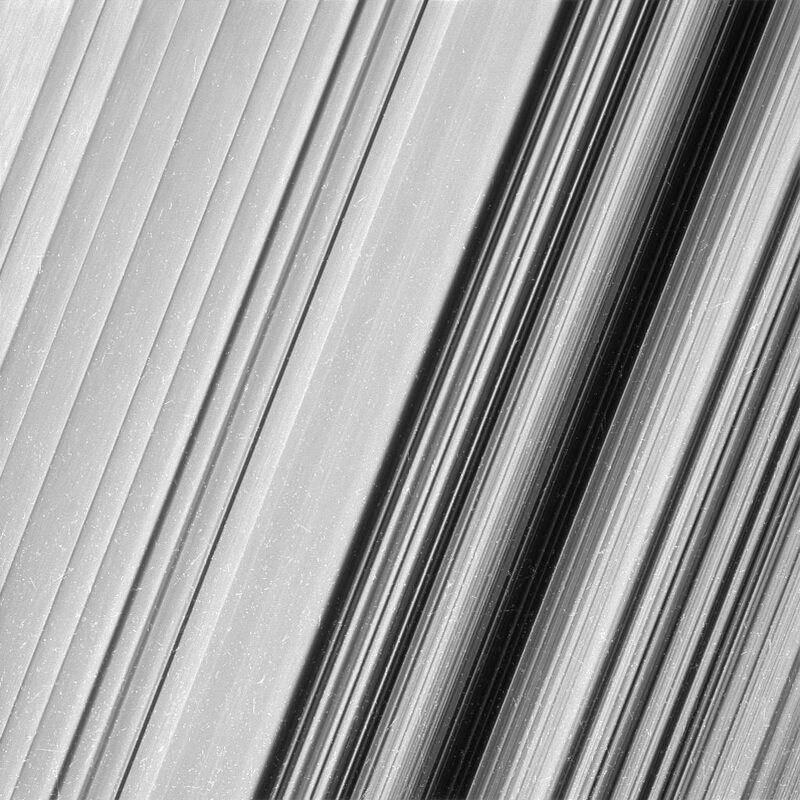 Through the photos provided by Cassini, NASA now has up-close images of "propellers", a term used to described gaps in the rings caused by one of Saturn’s 62 moons such as Daphnis. Additionally, gravity wakes known as "straws" can also be seen in the new photos. 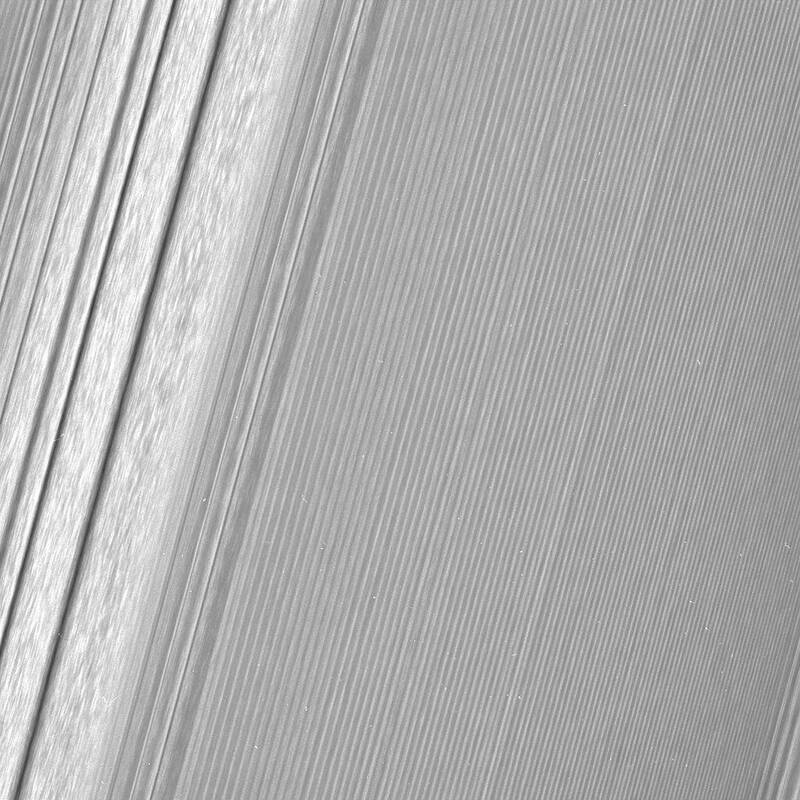 These close views represent the opening of an entirely new window onto Saturn’s rings, and over the next few months we look forward to even more exciting data as we train our cameras on other parts of the rings closer to the planet. Says Matthew Tiscareno, a Cassini scientist who studies Saturn’s rings. 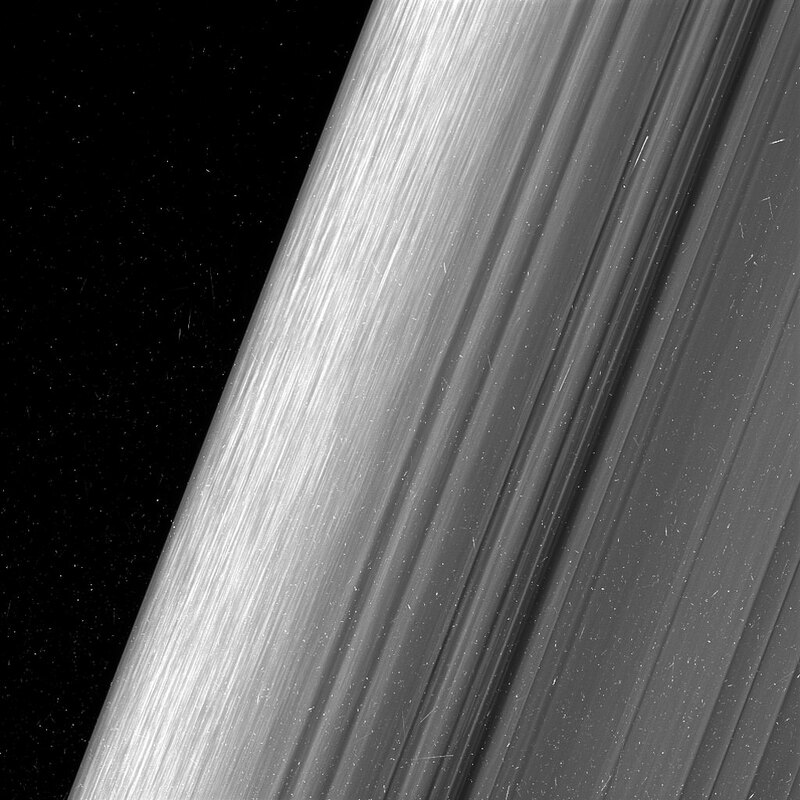 Cassini’s ring-grazing phase is expected to continue until April, so we fully expect more photos of the rings to be made available over the coming weeks.